Mumbai: The State Consumer Disputes Redressal Commission ordered the BMC run Sion hospital and its surgical oncologist to pay Rs 6 lakh for the transfusion of wrong group blood to a patient’s body who had been undergoing treatment for gallbladder cancer. The patient had died soon after the wrong transfusion. The case concerns Asha Singh (deceased) who was suffering with gallbladder cancer and was being treated at the Lokmanya Tilak Municipal Medical College and General Hospital Sion, Mumbai in the year 2010-11. The patient was diagnosed with cancerous lump in her gallbladder in the year 2010. Since then she was taking treatment for the same with the hospital under the supervision of Dr.K.S.Sethna. She received chemotherapy treatment and was responding well as per the complainant. On 27th September 2011 during routine examination of blood, it was revealed that her haemoglobin dropped to 6.3 gm% for which as per the advice of Dr Sethna, she got admitted to the hospital on 8 October 2011 at 7:30 pm. Working on the condition of the patient, duty officer, Dr.Bhushan Vispute, arranged for blood transfusion by sending the patient’s blood sample to the blood bank for grouping and cross matching. On duty technician in the blood bank Smt.Jaya Anand Wakode received the blood sample, conducted grouping and cross matching tests on the blood sample. She found the blood group to be “A positive” and so issued two units of “A positive” blood for transfusion. The condition of complainant’s wife deteriorated on 9th of October 2011 soon after the transfusion and she died in the early hours of 10th October 2011. According to the complainant, he raised concern over non acceptance of the blood by his wife, the assistant doctor and the nurse on duty dismissed his concern. As per the complainant, his wife blood group was “B positive” and previously she had received the blood of same group without any complication. Alleging the wrong blood transfusion responsible for the death of his wife, the complainant approached this Commission for claiming relief under Section 17 of the Consumer Protection Act 1986. The complainant prayed for the total compensation of Rs. 49, 06,900/- under various headings. In their written response before the forum, the surgical oncologist, Dr Sethna as well as the hospital represented by the dean, Lokmanya Tilak Municipal Medical College and General Hospital, denied the claims stating that the complainant’s wife died due to the terminal cancer and not due to the wrong blood transfusion. Explaining their case, the doctors stated that on the day of 8th October 2011, late in the evening, deceased was admitted with severe anaemia for blood transfusion. That day being Saturday, indoor case records were not available and hence the blood group of the patient was not known, so “A positive” blood was accepted and transfused to the deceased by the on duty hospital staff. The reaction to the wrong blood transfusion was not observed and the patient was passing clear urine which was indicative of no transfusion reaction. The opposite parties explained this on the basis of the change of blood group due to the suppression of immunity in the terminal cancer patient. The complainant’s wife died due to the terminal cancer and not due to the wrong blood transfusion. 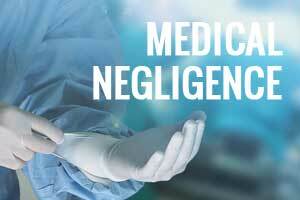 Hence the opposite parties denied the allegations of medical negligence and deficiency in service. The court noted as per the reports available under Right to Information act 2005, there was deficiency in collecting blood sample, labelling the blood sample correctly and transporting the same to the blood bank for grouping and cross matching adding that the subject patient had been admitted and transfused thrice prior to this blood transfusion and death incident, but the hospital has not maintained records pertaining to the correct blood group (medical history) of the patient. The report also mentions that,” the medical certification of cause of death is mentioned as Disseminated Intravascular Coagulation (DIC) which is relevant to wrongly transfused blood unit and no primary investigation has been carried out by hospital administration to reveal the facts”. The court also noted the lack of post-mortem. An RTI further revealed that a departmental inquiry was conducted and the Professor and Head of Surgery from Department of Surgery reported that as per the records deceased Mrs.Asha received two units of A positive blood on 8 October 2011, who on previous occasion; on 23rd of February 2011 received B positive blood unit. The court also noted that after the Departmental enquiry of the lab technician, she was given punishment by stopping the next increment and warning was given to the house officer. After going through the literature on blood transfusion including its complications, the court also dismissed the contention of the learned advocate for the opponents that the blood group changes from B to A as the medical literature does not support this contention and only says that due to the change in the antigenicity of surface antigens, they are neutralized and as per the literature no blood group should surface as altered one. After considering the submissions made before us, documents submitted and evidence affidavits; we are of the opinion that there was deficiency in service while treating deceased Mrs Asha. The reports of enquiry of the on duty doctor and the blood bank technician, clearly established that there was rashness and negligence in the way the blood sample was sent to the blood bank and the Grouping and Cross matching that was done, or unlabelled or wrongly labelled that sample resulting into a wrong blood group A instead of B Blood Group and hence the blood bags with wrong blood group were issued and transfused by the staff in the ward. Nonavailability of previous medical record on Saturday evening is also negligence on the part of hospital system. The time has come to change our laws of responsibly and liabilities . The responsibilities should be fixed at each level of competenc an. SC should see to it by a PIL if possible. In this case if previous reports are not available should anybody have waited for transfusion and endanger the life of the patient? It looks like a double whammy. Going by this note a high court judge should be punished if a lower court judge gives a wrong decision. But who can stop judiciary excesses ! It is the doctors who suffer each and every day. Technician should be punished . Today\’s era direct person who is doing criminal negligent act should be punished and not consultant every time. Who has not given order to give A positive to B positive patient. So direct criminal negligent if left he will repeat this with judge next time and law will punish consultant again. where the surgical oncologist came in picture in this negligence……..its hospital staff and system on error.